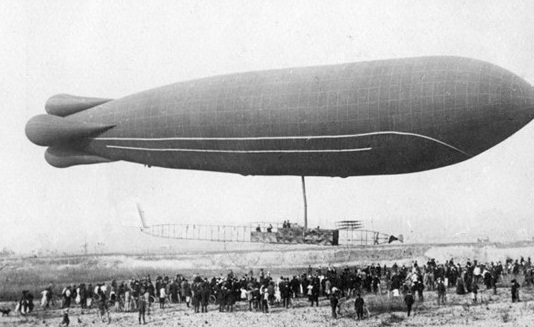 Clement-Bayard Airship No 1, The "Adjudant Vincenot" first flew on 28 October 1908. 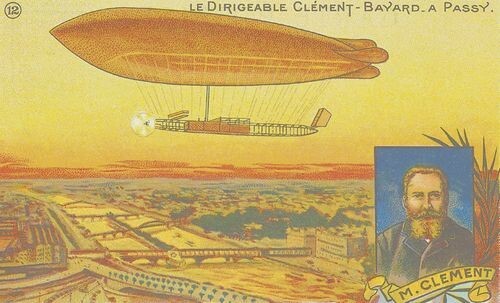 The Clément-Bayard No.1 airship was offered to the French government but was too expensive so it was bought by Tsar Nicholas II for the Russian army as the Berkut (Golden Eagle).The Golden Eagle had arms, but was out-of-date. The ceiling and speed did not meet the requirements, and it used for trainings. A 1908 Clément-Bayard No. 1 crashed in the River Seine in 1909.